Want to work at an American summer camp but don't know which company to go with? Compare the top American summer camp agencies and get the most from your summer abroad! Fancy travelling halfway across the world and getting paid to have the experience of a lifetime? Working at American summer camps really is the stuff of dreams – and for thousands of students every year, it's a reality. But while working in America for the summer is an exciting possibility, we know from experience that choosing which company to go with can be confusing. For starters, you'll find plenty of posts and reviews about each company – but it's difficult to know if you can trust them. 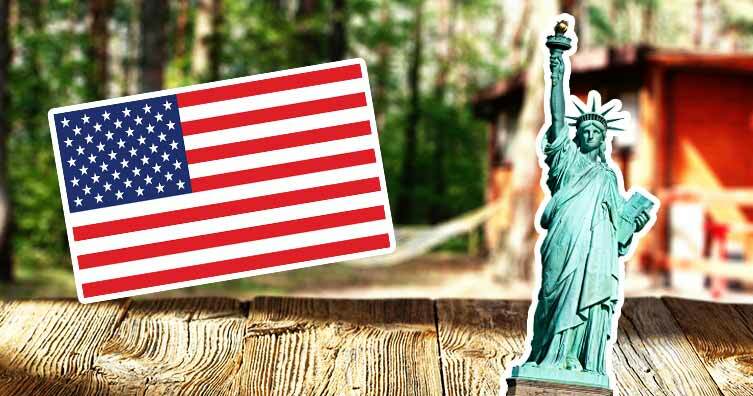 So we've done the hard research and put together an up-to-date comparison table and reviews of the five main American summer camp companies available: AmeriCamp, Camp America, Camp Leaders, BUNAC and CCUSA. These companies do not own the American summer camps and simply act as 'middle men'. This means that you could be at camp with other people who used a different agency as yourself, doing the same job and still being paid less – all the more reason to do your research! While this table mostly focuses on the financial aspect of things, you should do your own research into exactly what the customer experience with each company is like. On the main, the experience with most agencies should be positive (and broadly similar) – but should something go wrong during the process (including while you're in the States), you'll be looking to them for support. With that in mind, it's worth asking around and looking online to see if the company you're interested in has a good track record in dealing with these kinds of issues. If you're after a more in-depth breakdown of the costs of the various American summer camps, see below. * Salary amounts shown are the minimum based on age and role for packages booked without flights (see each agency's review for full salaries). Figures were provided in US Dollars, and the exchange rate was correct as of March 2019. ** These costs are for first-timers without flights, are subject to change, and do not include flights and other third-party costs. See each review for prices with flights, and further below for a summary of the third-party costs. *** AmeriCamp, Camp America, BUNAC, CCUSA and Camp Leaders are not the only American camp companies out there but were the five that we deemed provided the best service for students in the UK. All of the salaries and costs in this guide were provided by the companies themselves, and all conversions from USD to GBP were correct as of March 2019. As you can see from the table, AmeriCamp has one of the highest basic salaries on offer. However, you may note that there's no option to include flights within the cost. The logic here is that this allows you to find your own at a better price, and even if you're not great at finding cheap flights, AmeriCamp have a flight team who will endeavour to find you the best deal. With that in mind, your plane tickets shouldn't cost much more than £500 all-in – and it's certainly possible to get them a lot cheaper than this still. Most other American summer camp agencies will set a fixed price for flight packages, meaning you'll pay a set amount regardless of how much your flight actually costs. But as opting for flights included usually means that your salary is far lower, the effective cost of your tickets can be £800 or more. As such, as long as you can bag some cheap flights, opting for a package without flights will usually be the cheapest option. 21+ year olds: $1,750 (£1,327). An extra $100 (£75) is also paid if you are placed at a special needs camp. BUNAC are the longest running American summer camp agency of the bunch, and it could be because of this that they're comfortable in offering a 100% guarantee of placing you at a camp – if they don't, they'll refund you your fees. While BUNAC's lowest basic salary is still comfortably the second highest, the flight costs leave a bit of a sting in the tail. Their programmes cost £499 with flights, and £269 without – so on the face of it, your travel costs a very reasonable £230. However, as with many of the other agencies, opting to have your flights included in the package doesn't just increase the fees – it also decreases the amount you can earn. To use an example, anyone under the age of 21 will earn $1,550 (£1,187) with the non-flight option, compared to $950 (£727) with flights included. So with flights included, your net profit will be about £230, while with flights not included it's about £918. Of course, you'll still need to pay for your flights if you don't have them included – but given that you're almost £690 better off than if you'd opted to include them, this is definitely the most cost-effective option if you can get some cheap flights. Aged 21 and over (flights not included): $1,750 (£1,340). An extra $100 is paid for being a lifeguard, or for working at a special needs camp. Camp America is probably the most well-known American summer camp agency – so much so that you've probably heard people refer to working at American summer camps as simply "doing Camp America". However, their costs are the joint-highest of the five companies featured, and their minimum expected salary is also the lowest. In fact, with a minimum salary of $650 (£494) and the flights-included option costing £599, there's a chance the whole experience could end up costing you money. That said, if you opt for flights not to be included, the package costs just £399 and the minimum salary jumps to $1,250 (£950). Again, assuming you can get some cheap flights, this means you should make a net profit from the experience. Flights not included: $1,250 – $1,800 (£950 – £1,368). Camp Leaders are the only American summer camp agency to have an app – something that may not be an absolute deal-breaker, but is an undeniably useful extra feature. What's more, like BUNAC, Camp Leaders will refund your money if they fail to place you at a camp. But these benefits come at a cost – literally. Along with Camp America, Camp Leaders' fees are the joint-highest, and there's a chance that you may even lose money from the experience. Remember, you'll get pretty much the same camp experience no matter which company you go with (and you might even work at the same camp as people working with different agencies) – so when the main difference is money, it's worth taking it into consideration! If you're aged 18–20 and book a flights-included place with Camp Leaders after February, it'll cost you £649, with a salary range of $850 – $1,250. $850 works out at about £643, so while you may well earn more than the minimum salary, there's still a chance you could make a loss. Of course, this is where we remind you that you can still opt for the package without flights (£399), get a higher minimum salary and find your own travel at a knock-down price! Aged 21 and over (flights not included): $1,550 – $1,250 (£1,173 – £1,210). CCUSA (Camp Counsellors USA) is one of just two American summer camp agencies with official J1 visa sponsor status (the other being Camp America). We won't go through the nitty gritty of it all, but in essence, you need a J1 visa to work at an American summer camp. These visas have come under scrutiny from Trump's government, and in theory, applying through an agency with official sponsorship status should work in your favour if President Trump decides to clamp down on the system. Money-wise, if you're 18 years old at the time of the summer camp (and you go for a flights-included option), your salary is pretty low – $750 (£568) to be precise. Nonetheless, with the flights-included option costing £525, you're not at any risk of making a loss. Aged 21 and over (flights not included): $1,695 (£1,282). CCUSA also pays higher wages if you can bring extra skills to the role, including activities such as climbing, tennis and sailing. Taking this into account, you could earn up to $2,395 (£1,813) during their stay. No matter who you go with, you'll need to pay the third-party costs yourself – and despite what some companies might say, the costs are the same regardless of who you'll be working with. The prices may change from person to person, but in total you're looking at at least £150 in third party costs. Most summer camp companies can place you as a general camp counsellor or a specialist in your chosen activity. But whatever the role, you'll be working with American kids and helping them have a great summer break! Here are a few examples of the kinds of jobs and activities you can expect to be doing at an American summer camp. If you've got a talent in any of these areas, or something similar, jump right in and get involved! General admin and camp support staff. Working at an American summer camp is just one of the many ways you can make money working abroad – check them out if you're not convinced this one's for you!